Beekeepers throughout the state are opposed to any mandatory registration to require traceability of hives and their beekeepers, citing: lack of transparency by Albany, lack of services, misuse of information, creating onerous and politically motivated regulations, and adding fees to an already costly profession. In 2007 there was a similar scenario, where legislation was quietly slipped into the legislature at the end of the NYS legislative session without the knowledge of most beekeepers. The Bill was enacted as law, but a major effort by NYS beekeepers was undertaken to successfully repeal the law in 2010. The current registration form states that by registering, you will be notified of bee health developments---that is not true, as communication has been lacking. 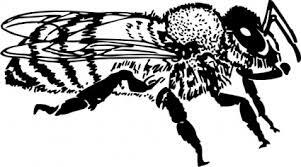 Albany needs to provide notification and communication now for the beekeepers already registered and other beekeepers for: county spraying for mosquitoes, use of bee toxic substances for tick abatement, outbreaks of honey bee disease such as American Foulbrood, before making promises of future notification and requiring mandatory registration, otherwise they are just collecting names. A hive and frame fumigation chamber centrally located in NYS would be extremely helpful in controlling pathogens. To many, mandatory registration may seem innocuous and helpful (it’s about bees! ), but better outreach and communication instead of a heavy handed regulation would be more helpful to beekeepers. Until better channels of truly informed, open communications take place among all beekeepers, mandatory registration should not be attempted. What is needed is to form a consensus of what would constitute an acceptable Apiary Program.